Kate specialises in serious and complex children cases both public and private law. In particular, Kate specialises in cases involving serious physical/fatal injuries to children; fabricated/induced illness behaviour; sexual abuse (including fabricated allegations and ‘false memory’); serious domestic violence; disabled parents, in particular parents with learning difficulties and serious psychiatric/psychological difficulties; intractable contact disputes and leave to remove. 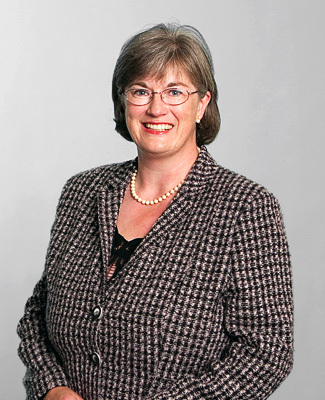 For 18 years Kate was based on the Western Circuit practising in all areas of family law, in particular specialising in public law work for local authorities, parents and guardians and private client work, but also undertaking serious domestic and violent crime for both prosecution and defence. Since moving to 4 Paper Buildings in 2002 and in particular since taking Silk in 2006, Kate has maintained her practice across all aspects of children law whilst developing a particular interest in cases involving non-accidental injury (including fatal injuries), neglect and FII behaviour. Kate’s cases frequently involve jurisdictional, religious and ethnic dimensions and she has developed a particular expertise in representing parents with physical and learning disabilities and serious psychiatric and psychological problems. Kate also has a significant private law practice, having undertaken a number of important specific issue applications together with intractable contact disputes and application for leave to remove. Kate has maintained her links with the Western Circuit, regularly presenting lectures for solicitors in-house, Resolutions and other organisations with an interest in issues relating to children law. Kate has a long-standing relationship with the Roberts Centre in Hampshire which provides family support services and staff and venues for short and long-term observed, supported and supervised contact and is a voluntary speaker for the Children’s Society.